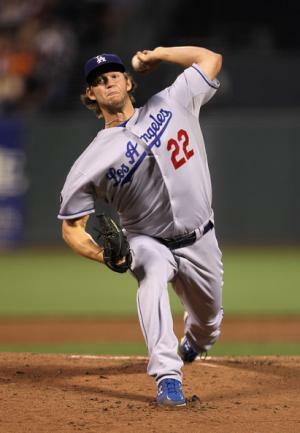 Clayton Edward Kershaw was born on 19 March 1988, in Dallas, Texas USA, and is a professional baseball player in Major League Baseball (MLB), best known for playing as a pitcher for the Los Angeles Dodgers. During his debut in the major leagues in 2008, he was 20 years old and the youngest player to reach the majors at the time. All of his efforts have helped put his net worth to where it is now. How rich is Clayton Kershaw? As of mid-2016, sources inform us of a net worth that is at $40 million, mostly earned through a successful career in baseball. It’s said that he earns an annual salary of $30 million playing the game, and he’s won multiple awards over the years of his career. All of these have helped ensure his continued rise in wealth. Kershaw started playing baseball as a kid, joining various sports leagues including Little League Baseball. He attended Highland Park High School and played on the football and baseball teams. He developed his pitching skills and was soon getting recognitions for strong games, and was called the “High School Baseball Player of the Year” by publication USA Today. He was considered as the top high-school pitcher when he joined the 2006 MLB Draft, and was selected as the seventh overall pick by the Los Angeles Dodgers, although he had to turn down a scholarship from Texas A&M University to play in the MLB. He had a signing bonus of $2.3 million which started to boost his net worth significantly. Clayton started in the minor leagues playing with the Gulf Coast League Dodgers; he became one of the top pitchers and players in the league and was getting selected for All-Star games. Eventually in 2008, the Los Angeles Dodgers invited Kershaw to become a part of the main roster – his first win was against the Washington Nationals, and he eventually finished the season with a 5-5 record. In 2009 he became part of the National League Division Series, beating the St. Louis Cardinals and then heading to the Championship Series to face the Philadelphia Phillies. He had a bit of a rough time during 2010, but bounced back and soon performed even better. In 2011, Kershaw became the first 23 year-old pitcher to have a victory count at 32 and an ERA which meant more than a one strikeout per inning average. Clayton became part of the All-Star game and won the NL pitching Triple Crown. He was also given various awards including the National League Cy Young Award, the youngest to win since 1985. The following year he was given a $19 million, two-year contract extension and once again became a part of the All-Star game. He also became a strong contender for the Cy Young Award, actually finishing as a runner-up. He finally got his chance at a second Cy Young Award in 2013, plus achieving his third straight selection to the All-Star game and a 236 innings pitched career high. After a very strong season, he was offered a seven year $215 million contract for the Dodgers. The following year he would win his 3rd Cy Young Award and became the NLCS Most Valuable Player. His latest achievement is a 300 strikeout season in 2015. Aside from baseball, Clayton has appeared in television series, and has done charity work alongside his wife, donating to a Zambian school as well as within the USA. For his personal life, it is known that Clayton married Ellen Melson in 2010 after a relationship of seven years, and they have a daughter. He’s also known to be religious, a Methodist.